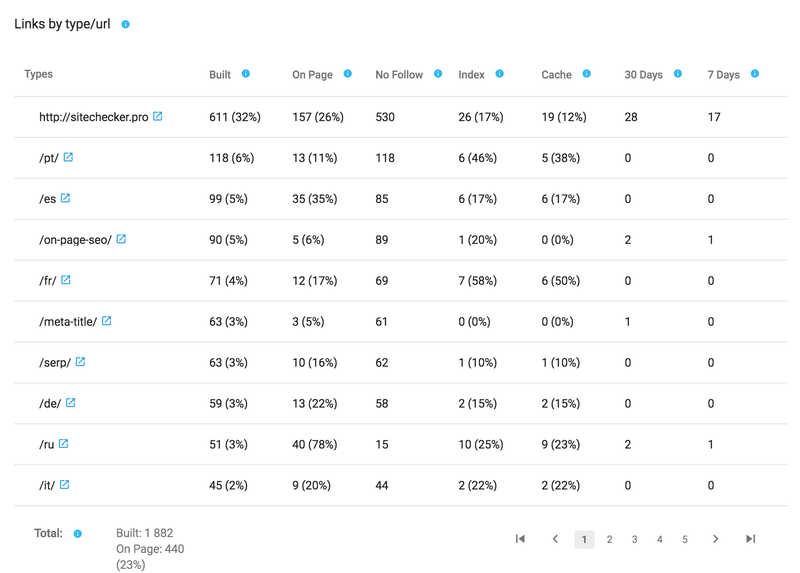 Monitor and analyze all backlinks you have found or built for the website. Be the first to know when the links were lost and bring them back to life. Add backlinks you have built manually or you have found in Google Search Console, Ahrefs, Semrush, Majestic, Moz etc. and get a real picture of your inbound links profile in real time. Monitor all backlinks and get notified when any of them will lost. Find backlinks which were lost links and bring them back to life, keep your inbound link profile strong as possible. Use easy reports to evaluate how well your link building strategy is being implemented and what you can to do to increase its efficiency. There are many services which crawl world wide web and help to check backlinks for a specific website. But none of them has a full base (even Googlebot needs time to find all backlinks). And you can track really all backlinks those were built to your websites. Just one screen helps to understand the progress in link building process. Track not just amount but also types of inbound links. Easy report to detect the most used anchors by websites which link to your website. Check which of landing pages have most links and analyze how backlinks have influenced on their search traffic. 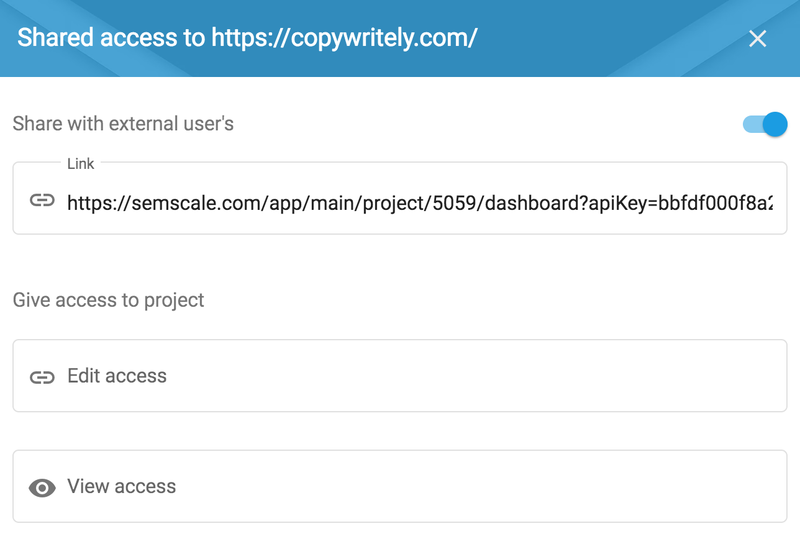 Easy report helps to detect peaks in appearance of links. Find out the reasons and the sources of these peaks (may be some of your content became viral or your sponsored post brought results) and measure how your website rankings were changed after them. Import all inbound links from external services. 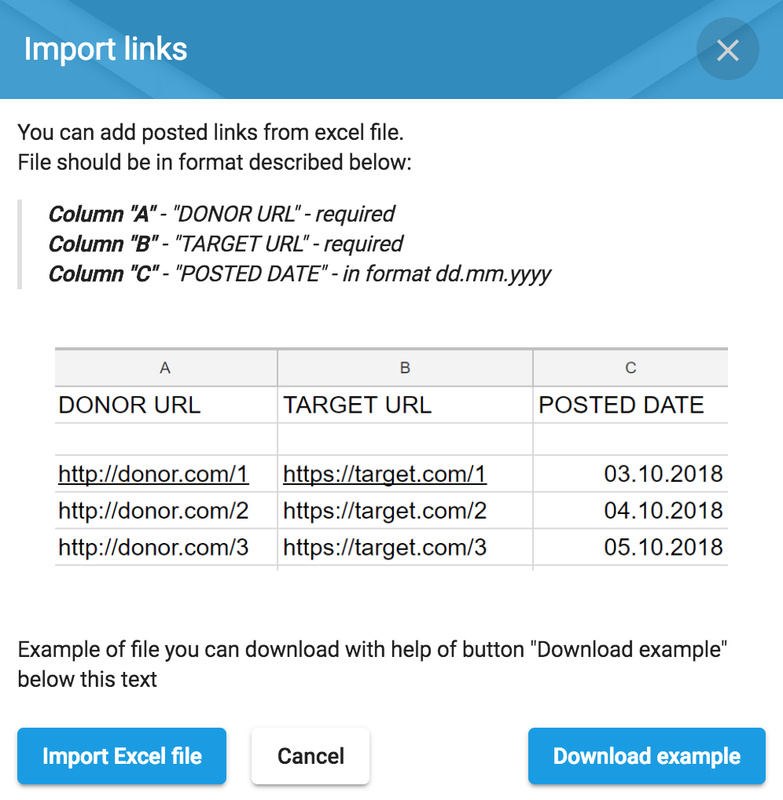 Download data in .xlsx file to add backlinks which external sources detected. Add regularly all backlinks you have built. 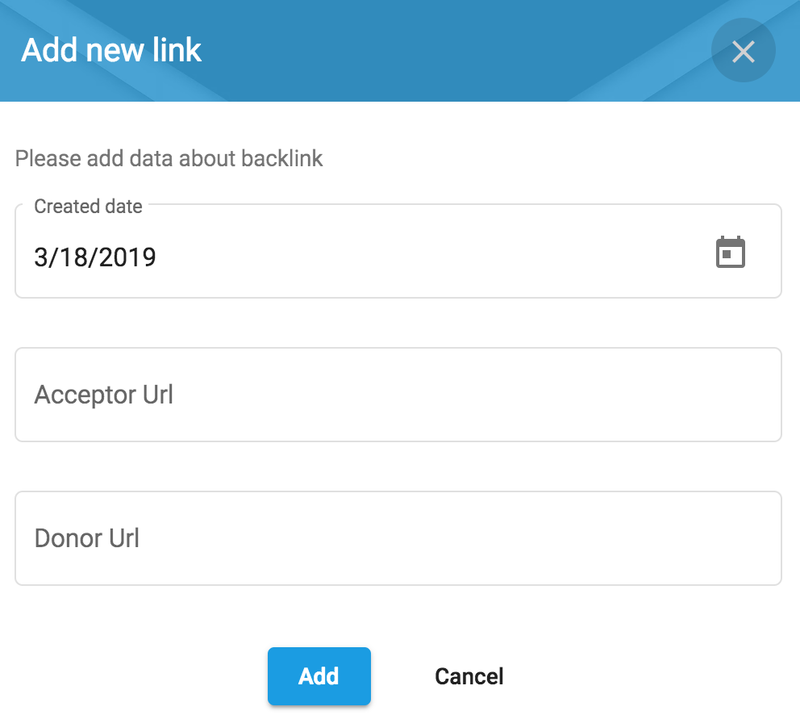 Each time you have built a backlink add it to Backlink Tracker to keep your reports actual. Open access for your subordinates. Delegate link building to subordinates of freelancers and control how good their execution is. Compare how added / lost backlinks influenced on organic traffic. 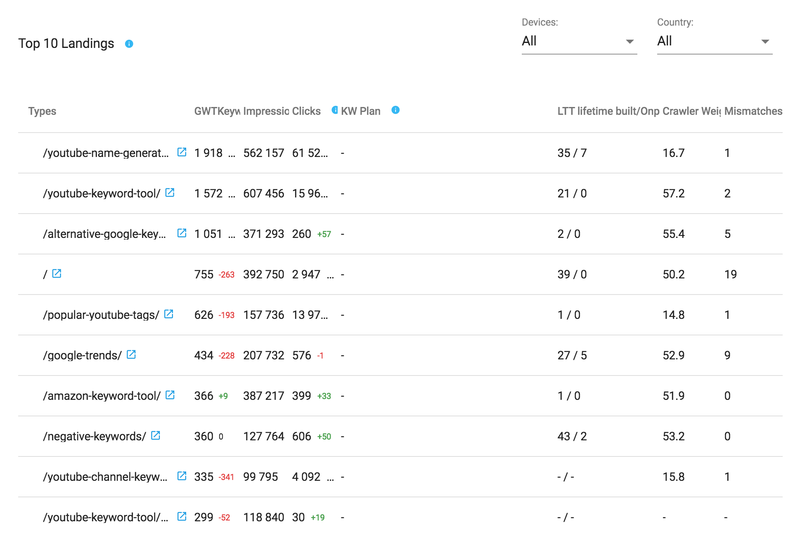 Detect the most valuable backlinks and bring lost backlinks to life. Website backlink checker will show you all the needed reports.